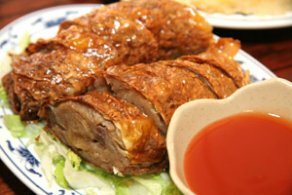 下午表姐kitty請吃lunch, 因為她特愛吃臺菜, 所以就特地開車來flushing的紅筷子. 甜甜辣辣的蠔仔餅和好健康的竹筒飯是kitty必吃無疑的紅筷子"特產". 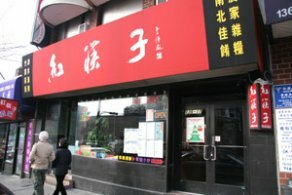 我還是比較愛吃臭豆腐, 九層塔刀蜆,和蟹粉豆腐羹. 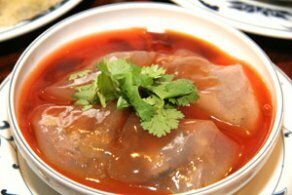 標題: 麻婆豆腐好味! 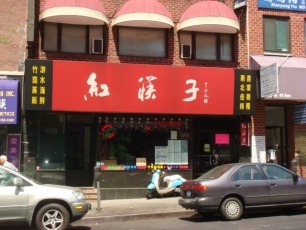 The BEST in Flushing! couldn't find 麻婆豆腐 anywhere 好味 than this. Very spicy sauce with super soft tofu. Prefect match with rice. I also love their preserved vegetable with egg. Can't eat congee without this dish!